Who We Are – AC CHEONG & CO.
AC Cheong & Co. is a Singapore law firm with a long-standing history of more than 40 years. From civil and criminal litigation, to conveyancing and corporate matters, we have been providing our clients with a wide range of legal services since 1973. Run under the helm of Cheong Aik Chye from the year 2000, the constitution of the firm has deliberately been kept small to ensure that we provide personalized legal services to our clients. We are supported by a team of dedicated and experienced staff. At AC Cheong & Co., we aim to provide quality legal services to our clients at a reasonable fee. While our clients include numerous large corporations and banks, we are proud to make our legal services accessible to clients from all walks of life. From the man on the street, to SMEs and larger corporations, we believe in maintaining our general philosophy of non-discrimination. Pro bono work is an active part of our firm’s practice; our Mr. Cheong often serves as assigned Lead Counsel in the Legal Assistance Scheme for Capital Offences (LASCO). We are also on the panel of volunteer lawyers in the Criminal Legal Aid Scheme (CLAS), and in the Legal Aid Bureau. Apart from being honorary legal advisor to several business, clan, arts and religious associations, our firm is also regularly involved in legal clinics organised by community services. 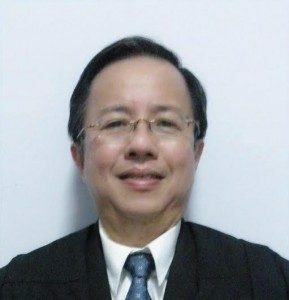 Mr. Cheong joined this firm since the day he was admitted as Advocate and Solicitor of the Supreme Court of Singapore in 1991.